The distinctive style of this elegantly designed combine of earrings is adorned with calico bead and stone work. 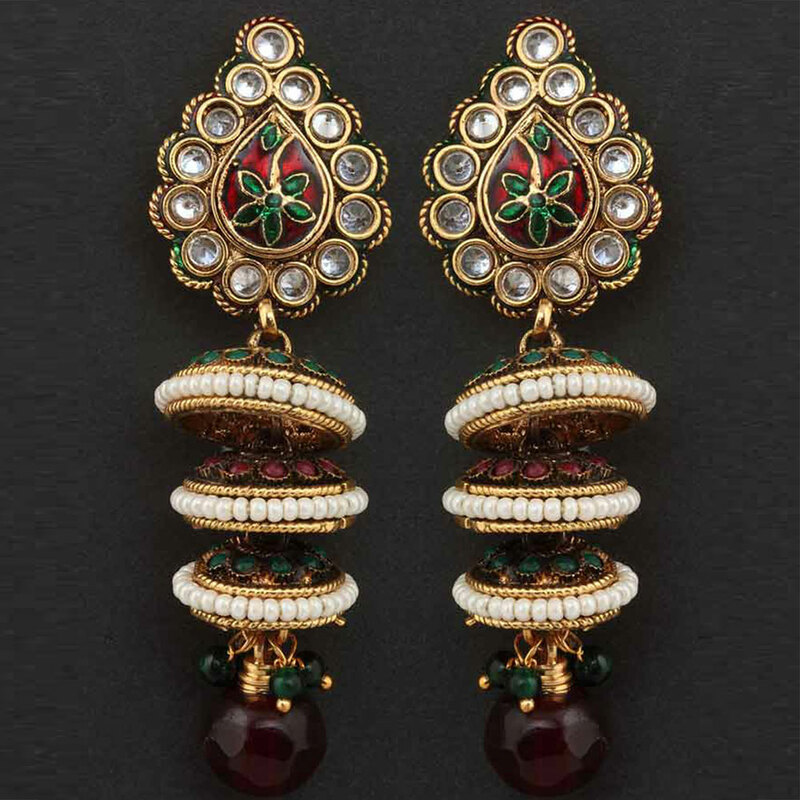 The unique design of this elegantly designed pair of earrings is adorned with multicoloured bead and stone work. 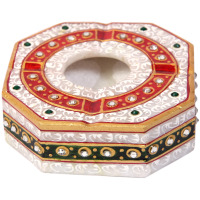 The three top shaped layers connected below Read More..the stud are beautifully decorated with a string of pearls in the centre section. The graceful design is completed by the red globe shaped hanging at base. Show Less..